Deepavali is on Sunday 3rd November in 2013. Deepavali is a five day festival. Deepavali starts with Dhanteras and ends with Bhai Dooj. Dhanteras celebrated on the thirteenth lunar day of Krishna paksha (dark fortnight) of the Hindu calendar Which Occurs in Ashwin Month. Bhai Dooj is celebrated on the 15th day of Kartika Masam, according to the Hindu calendar. Diwali falls between October and November. Diwali usually falls eighteen days after Dussehra. 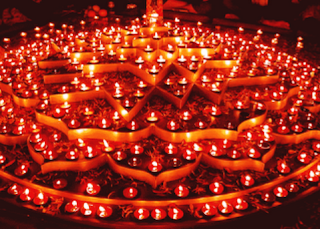 Diwali also known as Deepavali is a celebration of festival of lights. Deepavali is celebrated by all people across the Country especially Hindus. 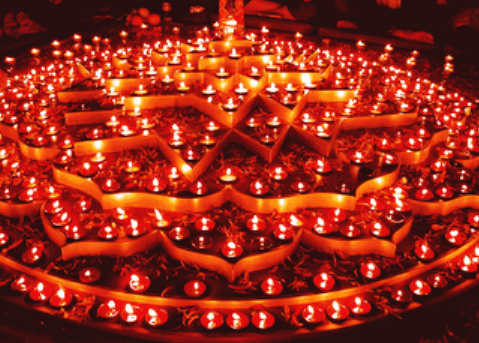 Deepavali is a Festival Of bringing light over the Darkness. Lord Rama return to his kingdom Ayodhya after completing his 14-year exile. Lord Rama killed the demon Ravana so the winning of good over the bad. Deepavali Started Firstly in Lord Rama Period. Krishna's wife Satyabhama killed the evil demon Narakasur so, the people Celebrated as Naraka Chaturdi during the Dwapara yuga. Narak Chaturdi celebrated one day before Diwali. Goddess Lakshmi Devi is worshiped on Diwali. Deepavali is a combination of two names, Deepa which means lamp and Awali, which means row or line. So the Deepavali means a row of lights. On the auspicious day of Deepavali People wake up early and do their regular works and wears new clothes. Worships the Lakshmi and offer the sweets, Fruits, Flowers. In Shops people will celebrate Goddess Lakshmi Pooja Grandly. The entire celebration deals on a higher level of the self that is based on one’s inner light and the idea that there is an oneness to all things and this inner light leads to joy and peace. In The Evening light the lamps all over the house and outside, People Celebrates with the Crackers, Fireworks. Hindus believe that on the second day of the festival, which is also called Narak Chaturdi, Lord Krishna destroyed the Demon Narakasur and liberated the world from a rule of terror from this horrible demon. Diwali celebrations were up to five days between 1st November to 5th November. 5 November Tuesday, Dwitiya 2013 : Bhai Dooj, Yama Dwitiya. I am so excited for the Diwali to come. It's tomorrow and I can' wait. I am so ready to send my best greetings to my friends and loved ones. Happy Deepavali.